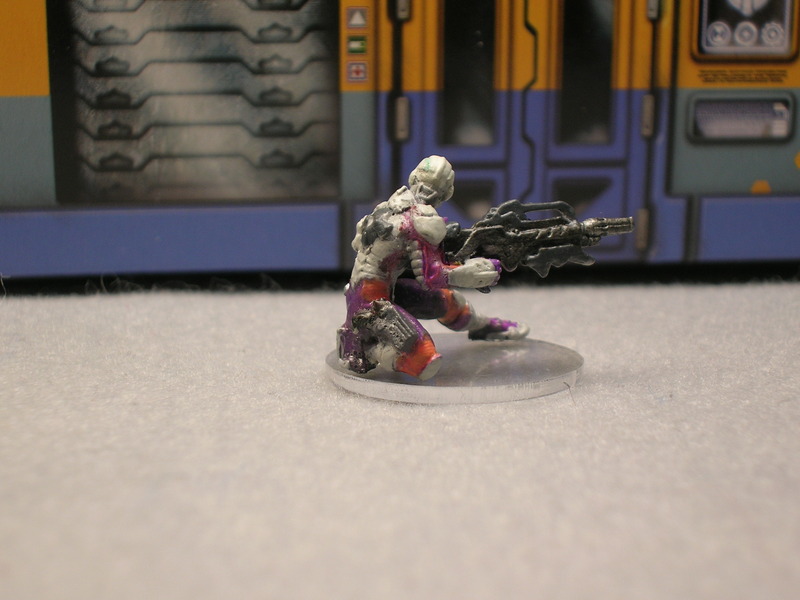 Just finished a 28mm Sci-Fi figure – a Nomad Spectr Hacker from Corvus Belli. 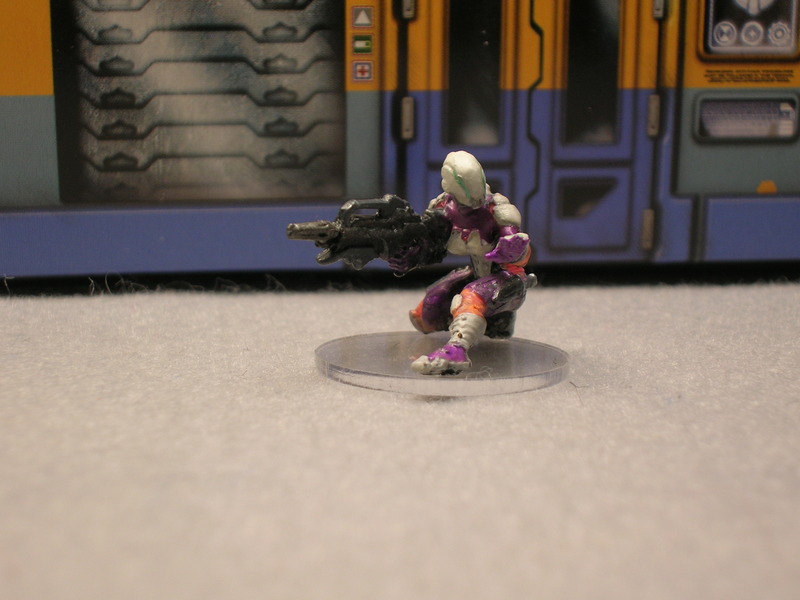 It’s from their Infinity game, but it can be used in a lot of different games including the 5150 titles from Two Hour Wargames. She is a female figure. One of the nice things about the Infinity line of figures is there is a nice balance of female and male figures (I hope other manufacturers are listening). 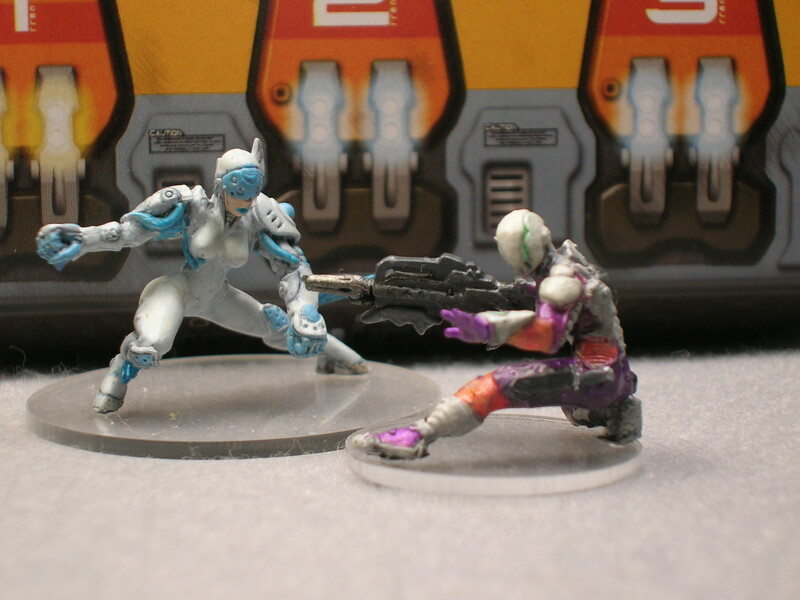 I’ve been slowly changing the way I paint miniatures. I used to prime only black or gray, but now I use Zenithal highlighting as the primer step. This type of preparation makes adding shadows & highlights much easier. The other thing I’ve done differently with this model is that I’ve used thin glazes and inks & not relied as much on layering & wet blending. I’ve not changed brands of paints, I still use paints from Reaper & Vallejo. The inks I’ve always liked to use are the FW Artist Acrylic inks from Daler Rowney. They are available both in transparent & opaque colors. I buy mine from Michaels, but you can also get them on Amazon. 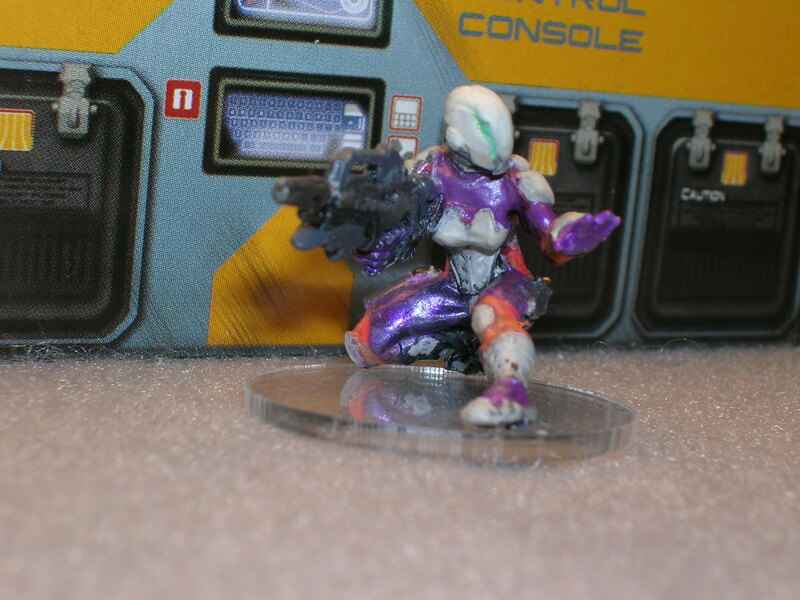 The biggest struggle I have with Corvus Belli Infinity figures is many of them have small parts that practically impossible to pin, so I have to rely on the strength of the glue’s bond to keep the figure together. 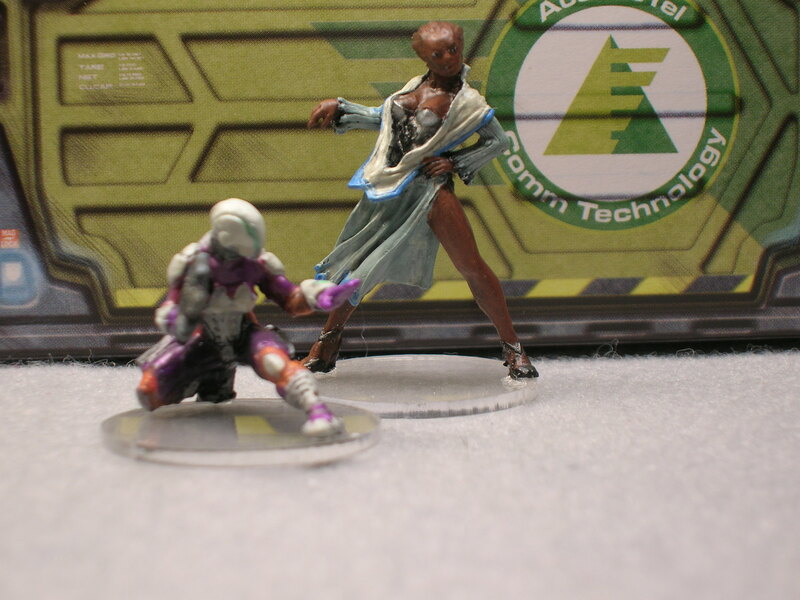 I continue to base my Science Fiction figures on clear bases from Litko. This is because of the multitude of mats available to play on. I know it is purely a personal preference, but it is distracting to me to have a figure moving about the corridors of a space ship with a small garden around his or her feet. 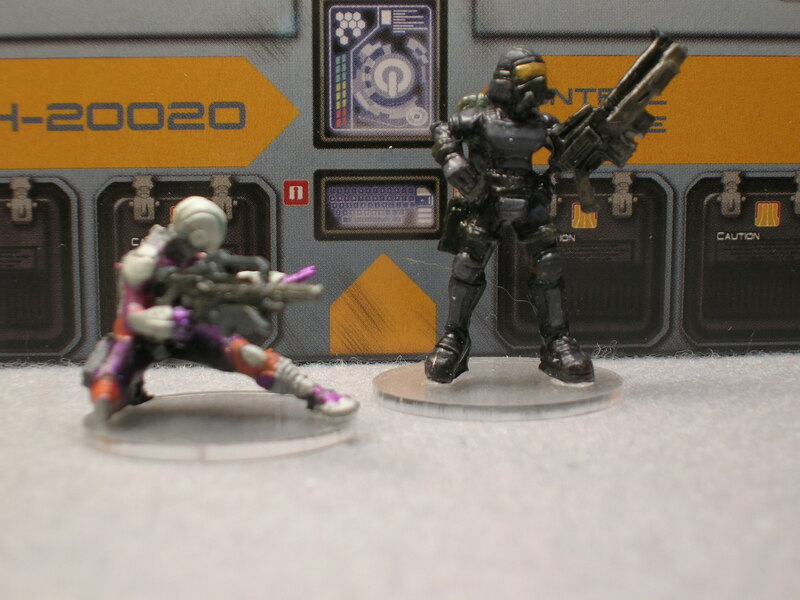 The buildings and shipping containers are cardboard terrain from the Infinity Operation Ice Storm starter set. I leave you with one last picture. I usually do not include photos where the flash on the camera went off. 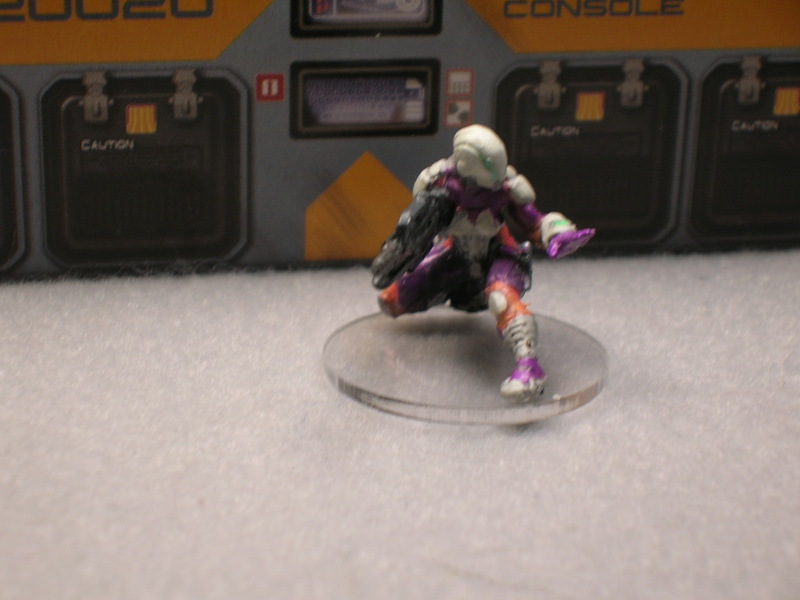 This one is when I tried to take a shot at tabletop level. When taking a photo from below the tabletop, the flash went off! Just a quick comment about the pinning, while you in fact *can* pin very small things (i’ve pinned the arms of Devabots before), you don’t really need to if you score the surfaces to be superglued. Just scratch the two surfaces until they’re no longer smooth pieces of metal, that way superglue will have something to grab onto. 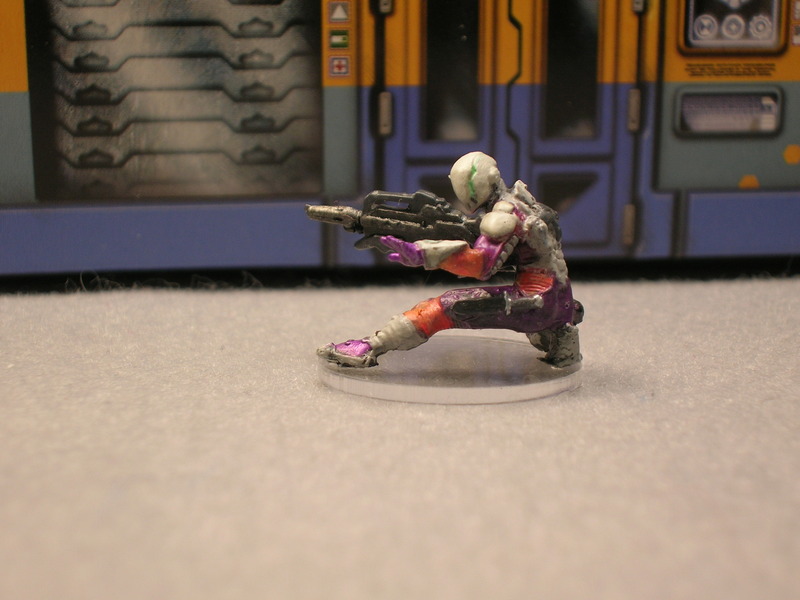 I’ve been using this successfully with my Infinity minis and has helped a lot.